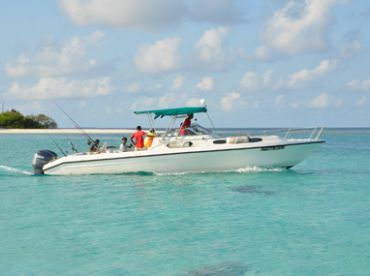 Saltwater fly fishing in the Maldives may just be one of the world’s best kept secrets. 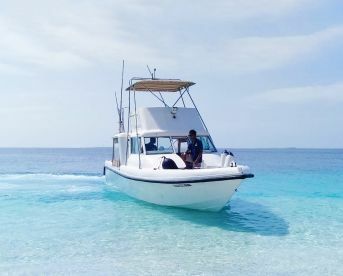 Swimming in water just 1-3 feet deep are the likes of Permit, Bonefish, Barracuda, and an array of Trevally species—including the infamous Giant Trevally. 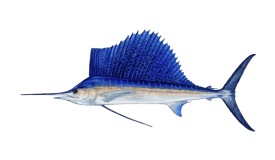 In the deep water beyond, fly anglers hook into Sailfish, Bonito, Wahoo, and Yellowfin Tuna. 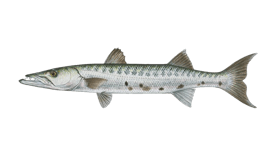 These are some of the most intriguing fish you can catch on fly rod, and some of the most challenging. Whether you’re after an elusive catch like Bonefish or a hard-hitting legend like GT, you can expect an unforgettable experience here. 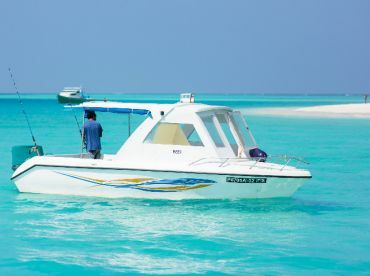 This is fly fishing Maldives style! 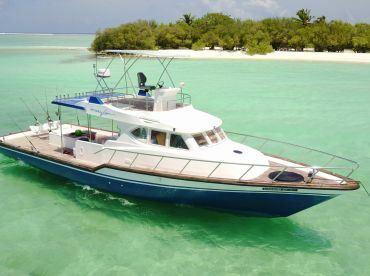 The Maldives consists of thousands of untouched islands, coral reefs, and sugary sand flats. A local guide can show you the best of these, whether you choose to cast your line while wade fishing or gliding across the flats in a modern skiff. 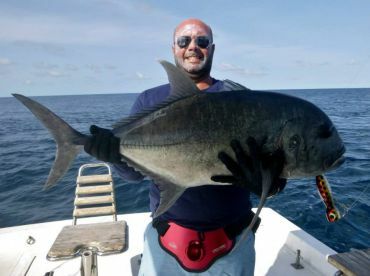 Fishing close to shore at virtually any time of year brings you fact-to-face with GT, Bluefin Trevally, Golden Trevally, Permit, Bonefish, Barracuda, Triggerfish, Snapper, Grouper, and Sharks. 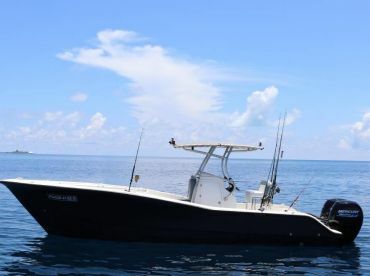 For an even greater challenge, avid fly anglers can also try their luck in the bluewater offshore. 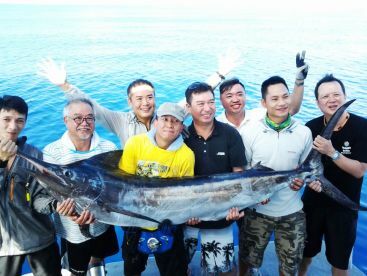 During the dry season between November and March, it’s common to find Sailfish, Yellowfin Tuna, Wahoo, and Bonito around here. These big game prizes promise the ultimate adventure for saltwater fly anglers. Depending on your target species, you’ll want to bring an 8-12 weight fly rod. It’s common to use floating lines while fishing the flats, but intermediate and sinking lines can also come in handy. 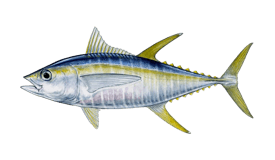 For Permit, Bonefish, Triggerfish, and Trevally (Golden and Bluefin), light colored crabs tend to be the most effective bait. Various colors of Fishient Spawning Shrimp and Crabs work well. You should plan to use an 18-20 lb leader for most of these species. 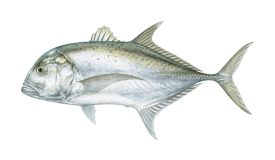 Bluefin and Juvenile Trevally may call for a 30-60 lb leader, with 1/0 to 3/0 hooks. Larger fish like GT, Sailfish, Snapper, and Grouper go for NYAP poppers in various colors, as well as Polar Fiber Brush flies, Sculpted Baitfish, EP Boca Grande, and more. A 100+ lb leader and hooks from 5/0 to 9/0 are ideal for GT and other large fish. If you choose to fish with a local guide, be sure to ask them about fly selection and other gear you need ahead of time. The Maldives are quickly gaining a reputation for some of the finest saltwater fly fishing in the world—come be one of the first to see why!